Will Earthbound on eShop Decrease Earthbound SNES Prices? 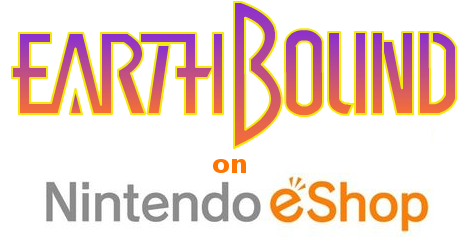 At today's Nintendo Direct, Nintendo announced Earthbound would be coming to the eShop. This will be the first time Earthbound will be available outside of the Super Nintendo. As you can see in the chart below. Resale prices for Earthbound have been increasing steadily for the last three years and sells for $200 in loose condition. Will the virtual version of Earthbound decrease resale prices? What happens to the price largely depends on who is buying the game and why they are buying it. Are they buying to play or buying to collect? In 2009, Capcom released a download version of Marvel vs Capcom 2 on Xbox Live and PSN. Resale prices were cut in half within months and have never recovered. It is evident that most people buying Marvel vs Capcom 2 were buying to play the game. They could download the game for a fraction of the current market price. The download wouldn't come with the disc, or box, or anything physical to own but if you just want to play the game that doesn't matter. On the opposite end, a game that is being purchased buy collectors will not decrease in price even when it is readily available for download because people are willing to pay the premium for the physical cartridge. Mega Man 5 for NES is a great example of this. It was released on June 2011 for Wii Virtual Console. Since then, loose cartridge prices for Mega Man 5 have gone up nearly 150%. At the extremes, 100% of buyers could be purchasing to play the game or 100% could be buying to collect. In reality, the reason for a purchase falls somewhere in between. The extent of the price decrease or increase depends on where demand falls on that spectrum. Is Earthbound 80% gamers and 20% collectors, or 30% gamers and 70% collectors? What do you think will happen to the price of Earthbound? Thank God!!! I must be dreaming or Nintendo is finally listening to customers again. Probably on the Wii U eshop only to push numbers up. NC woman just found Stadium Events CIB at Goodwill. I can see the number dropping quite a bit. Most people I know who owe one bought it just to play. I can easily see this going back to the 50-100 range in less than a year. Batteries don't die in software only. Maybe if sales are strong Mother 3 will finally come to the U.S. Putting the stores extra copies out on the floor. I'm not a gambling man. The SNES is currently in the midst of a huge collecting boom and prices on most of its games have gone up over the past year. Like most of these booms it will probably end soon and prices will decrease a little. In regards to Earthbound, I feel that for a period it will be mostly a player's game once it is released on the VC, bringing prices down to under $100 for the first time in a while. However, I don't think these prices will last and it's value will go up again when player's want to collect again, even though they have it downloaded already. @anonymous - Earthbound will be on the Wii U eShop only as far as I can tell. I personally would love to see it on the 3DS, but glad it is coming either way. I guess a snes port is too much for the 3ds. Must be the dual screens. I recommend selling now. Prices have on EB have sort of stifled at their current point. And a eshop release is almost certain to drop it by a fair chunk. Sadly, I don't believe this to be the case. Earthbound is currently a hot topic in the retro video game world, keeping interest (and prices) high. Plus, few people own a Wii U to play the Virtual Console version (there's also a version on the New 3DS, but there are plenty of SNESs to play Earthbound flying around, albeit for around $60. Prices have not decreased significantly; they have just maintained their earlier levels.